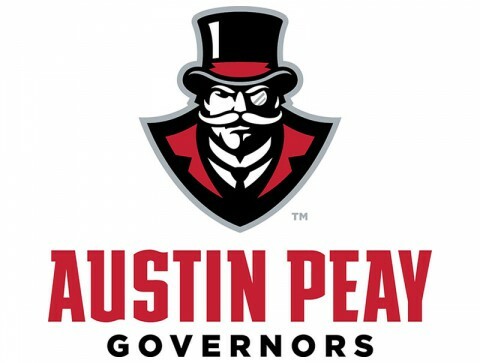 Clarksville, TN – If you have a favorite fall (or even spring) sport at Austin Peay, then there is a pretty good chance that there will be an event in or close to Clarksville for Govs fans to get to, while also adding there is a better-than-average chance that the university will have an announcement about its new head baseball coach, it will make for a busy week for APSU. The possible decision on the new baseball coach could come at any time this week, with the university completing their on-campus interviews with its six final candidates this past Thursday, on September 10th. But while Govs fans wait for the new baseball coach selection, there is still plenty to keep their attention. The Lady Govs golf team will kick off the week, heading to the Murray State to play in the MSU Invitational at Miller Memorial Golf Course on Monday and Tuesday, September 14th and 15th. It will be the second fall tournament of the fall for the Lady Govs and will be a good early indicator of how they stand in the Ohio Valley Conference, with seven OVC schools (Belmont, Eastern Illinois, Southern Illinois Edwardsville, Tennessee Tech, Tennessee State, Murray State and Austin Peay joining seven other teams in the 14-total team field. Wednesday, September 16th, will see the Lady Govs volleyball team play their second home match of the year by hosting North Dakota at the Dunn Center; before heading to Memphis on Friday and Saturday, September 18th and 19th to play in the Memphis Intercollegiate – their fourth and final in-season tournament for APSU. The Lady Govs tennis team will host their fall event, the Governors Invitational, on Friday and Saturday, September 18th and 19th, while the Lady Govs soccer team will be hosting the first of two home matches this week with contest versus Kennesaw State; followed by a Sunday, September 20th match versus Alabama State. Saturday will also see the football Govs travel to Vanderbilt to face the Commodores for the second time in three seasons, while the Lady Govs softball team opens its fall schedule under new head coach Shane Showalter with games versus Chattanooga State and Walters State at the Tennessee Martin Skyhawk Fall Classic – being played at the Martin Parks and Recreation Complex. So while Govs fans wait to see who the university names as the new head baseball coach, there is still a lot of Austin Peay action to follow, so come out and support tour Governors and Lady Govs.